Requirements for the procurement of titanium alloy processed by mechanical means — OST 90006−86. Supplier titanium hexagon sells products from 3 mm to 100 mm diameter. The length of bars is from 2 to 6.5 m with the remains, the length is 1.5 m and does not exceed 10% of the supply of the products. Buy titanium hexagon can with the usual quality finishes, or improved (matte). Hexagons are used in steel structures applied in cryogenic engineering, chemical, pharmaceutical and food sector, for the needs of transport engineering. Buy titanium hexagon provider Electrocentury-steel possible at an affordable price. 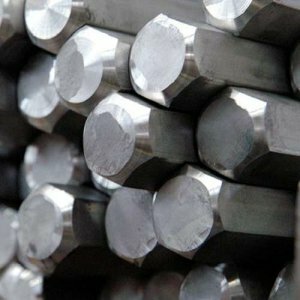 The price of titanium hexagon is formed on the basis of European standards of production. Buy titanium hexagon at an affordable price, you can wholesale or retail. Regular customers can take advantage of the discount system of discounts from the company Electrocentury-steel.